We study how proteins work via conformational changes, posttranslational modifications, and protein:protein interactions. Our research areas include proteins in the nitric oxide-sGC-cGMP pathway crucial to the cardiovascular system, nitrogen oxides modifications, non canonical protein:RNA interactions, ligand:protein interactions and novel methods to detect protein:protein interactions. Our expertise, including molecular biology, biochemistry, spectroscopy, x-ray crystallography, and small-angle x-ray scattering, allows us to answer key questions regarding enzyme catalysis, inhibition, recognition, and structural plasticity. 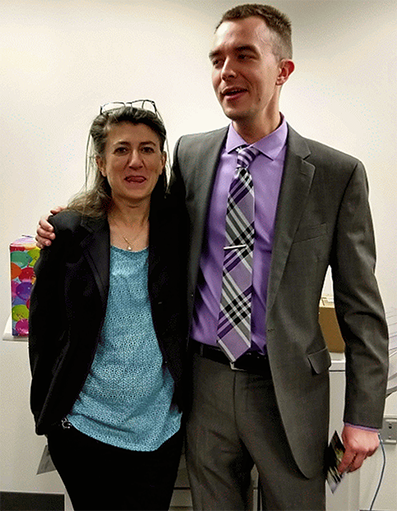 Congratulations Dr Childers Kenny successfully defended his PhD thesis on March 29, 2019.Congratulations Dr. Childers and good luck for your postdoc! Recently published- "Nitric Oxide: Synthesis and Action" Kenneth and Dr. Garcin recently got their review article on nitric oxide published in the Encyclopedia of Life Sciences! Check out the article here!